American craftsmanship is not a thing of the past. In earlier decades, US-based manufacturers built products that were made to last. Now, you're lucky to have the same cellphone for six months. But some companies still keep the tradition alive of making well-crafte ... (see full details) (see specifications) #DNN33000. American craftsmanship is not a thing of the past. In earlier decades, US-based manufacturers built products that were made to last. Now, you're lucky to have the same cellphone for six months. But some companies still keep the tradition alive of making well-crafted, solid products by hand. These Danner Men's 33000 Light II Brown Waterproof USA-Made Boots were built to last because you're going to have the same pair of feet for a long, long time. Full-grain nubuck leather and 1000 denier nylon combine to create the light brown uppers on these ankle-high, 6-inch tall shoes. Nubuck leather has the soft pliability of suede with the same fuzzy texture, and it's every bit as tough as full-grain leather. The durable nylon on these slip-resistant boots is lightweight and breathable, manufactured to allow natural air flow that keeps your feet ventilated. Because it's also constructed for abrasion-resistance, the nylon helps to create a secure casing around each of your feet. Gore-Tex liners were placed inside this brown footwear to provide 100% waterproof protection. The Gore-Tex prevents moisture from coming through these men's boots even as it allows air flow that helps your skin stay cooler and more sweat-free. Hand-crafted stitchdown construction was used to attach the Vibram Kletterlift outsoles to the upper portion on these Light II boots. The sole design creates a wide platform for foot stability, so every step you take is a little bit safer. The Vibram outsoles are crafted with a gripping tread for steady steps.These American-Made boots have airthotic molded polyurethane insteps which supports your arches for better foot comfort. So if you need waterproof boots that are great for everyday use and will keep your feet nice and comfortable throughout the day, these Danner Men's 33000 Light II Brown USA-Made Waterproof Leather Boots are the one for you, they're just a click away. This is a wonderful boot, extremely comfortable and durable. I especially like that it is made in the USA and am willing to pay the extra price for boots made in the USA. I have several pairs of Danner boots and this model is one of my favorites. You won't be disappointed. Danner boots are definitely worth the price. Bought these a year ago from a different website. They are awesome boots. I used to wear Dunham and had to buy a new pair every year. Wear them every day for work, hiking, hunting, out to dinner, etc. Buy some saddle soap to clean them and obenauf's leather protectant to protect the leather. These Danner boots will last ten years. That's about $325 total or 30 bucks a year. Much better than 100 a year for some cheaper boots. 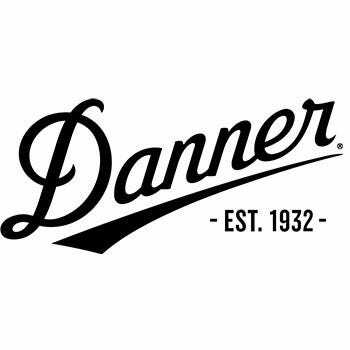 Check out Danner's website for dozens of reviews, some people have had em for 20 years. This is my fourth pair of Danner light boot in 30 years. They are alway comfortable and durable. I wear them every day for work, hunting and even fire fighting. Danner makes a top quality product. I wear these boots everywhere and I never want to take them off. I've never felt so strongly about a piece of footwear, but these Danner boots are awesome. Take care of your feet and they will take care of you. I used to get a lot of compliments on the looks before they got a bunch of oil and grease stains. Now my boots look like everybody elses, except they feel 10x better. Can't beat em, made in U.S.A. , awesome ! Need more made in America. We are willing to pay for quality . Your feet are too important to wear cheap import shoes. Never thought I would pay this much for a pair but with Working Persons sales price it made it possible and glad I spent the money. Saving now for a second pair. Danner Boots: Men's Brown 33000 USA-Made Waterproof Slip-Resistant Light II Boots is being added to your cart.